Getting pulled over and arrested for drinking and driving is very serious. 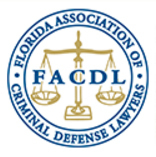 A DUI requires the right DUI attorney in Jacksonville to provide a solid defense. Facing the consequences of a DUI without an attorney may lead to worse penalties. This type of criminal charge will likely impact your personal and professional life. It's important to hire a skilled Jacksonville DUI lawyer with an understanding of the repercussions you face. While you may think your options are limited, there are several things a skilled criminal defense attorney can do to defend you against a DUI charge. When you hire a skilled DUI attorney, the charges may be dropped to reckless driving. This will dramatically decrease the penalties and help to mitigate some of the long-term damage. Depending on the situation, it's possible a good DUI lawyer will get the charges dropped. Was it a legal traffic stop? - If the law enforcement officer didn't have a good reason for pulling you over, initially, the charges may not stick. A random stop is likely not legitimate and even DUI checkpoints have to pass constitutional scrutiny. Were any field sobriety tests administered done in the appropriate manner? - Field sobriety tests come with protocols that must be followed. Any failure to follow these protocols could lead to suppression of the test results. Were you advised of your rights properly before a request for a breathalyzer test was made? - You're protected as a United States citizen, even when you're stopped by law enforcement. Was the breathalyzer equipment maintained properly? - If the equipment used for the breathalyzer isn't properly maintained, it may not be accurate. This is very sensitive equipment and must be tested and calibrated often. Was the cause for your arrest something that may have influenced the outcome of the test? - If you were on medications or suffer from a medical condition, your test may not have been accurate. You don't have to refuse a breath test to have a shot in court. Sometimes, the results are inaccurate or have been influenced by something else. Even if you took a breath test and the results put you over the legal limit, there may be a way to challenge the DUI charges. As with any criminal charge, the burden of proof lies with the State. The prosecutor has to prove the elements of the crime beyond a reasonable doubt. When you hire a skilled DUI attorney in Jacksonville, you'll be given a full and fair defense against your DUI charge. Your attorney will investigate the scene of the stop, do a reanalysis of blood, urine or breath samples, evaluate the history and background of the arresting officer, examine any relevant equipment used and deconstruct the case to explore any possible avenues of defense. Your DUO may have involved more than a traffic stop and you may have even caused harm to another person, but don't give up your rights by foregoing a good criminal defense attorney in Jacksonville. If you've been arrested and charged with a DUI, Contact The Law Offices of Tassone, Dreicer & Hill today or call us at 904-396-3344.